The world has witness a dramatic shift in technology in the past few years. Each and every product which has changed life of Millions has gone through various phases of transformation. The life cycle of computers, printers, television, mobile phones, music systems, refrigerators and others have gone down sharply in the past few years which has resulted in obsolescence of the previous versions and in turn became e-waste. WEEE recyclers have become a boon for countries worldwide as they help in reducing the carbon footprint by recycling the e-waste in the most environment friendly way. 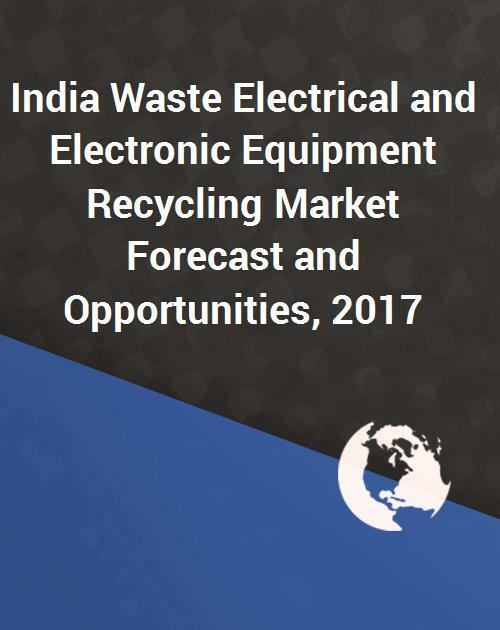 According to “India Waste Electrical and Electronic Equipment (WEEE) Recycling Market Forecast & Opportunities, 2017 – Ewaste, E-Waste” the market is facing major challenges from unorganized sector specially in terms of raw material procurement. The unorganized sector dominates the WEEE recycling market in India by recycling around 95% of the WEEE generated in India. The market grew at a CAGR of 37.98 % in terms of volume from 2008 till 2011. By the end of 2017, it is expected that 25% of the WEEE generated will be recycled by organized sector. Increasing Government focus and restricting of policies will force many small players to exit the market which will help organised players to increase their shares. - To gain an in-depth understanding of WEEE recycling market in India. - To identify the on-going trends and anticipated growth in the coming years in India. - To obtain research based business decisions and adds weight to presentations and marketing materials. - To avail 10% customization in the report without any extra charges and get the research data or trends added in the report as per the buyer’s specific needs. 10.2.2. TES AMM Pvt. Ltd.
- TES AMM Pvt. Ltd.